The DS-P1 series of satellites was used to calibrate space surveillance and early warning radars. These satellites were used to calibrate the Dnestr (NATO-codename: 'Hen House') space surveillance and early warning radars. These satellites were built on a dodecahedral structure, which carried solar cells. 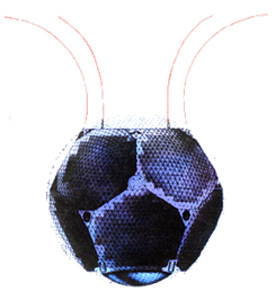 The satelite was covered by a spherical mesh reflector transparent for light-region waves and non-transparent for decimetric and metric radio waves. 4 of these satellites were launched between 1962 and 1964 on Kosmos boosters. One failed to reach orbit. They were replaced by the similar operational DS-P1-Yu series.